Close up of middle aged person's brown eye through the metal glasses looking up and to the camera. 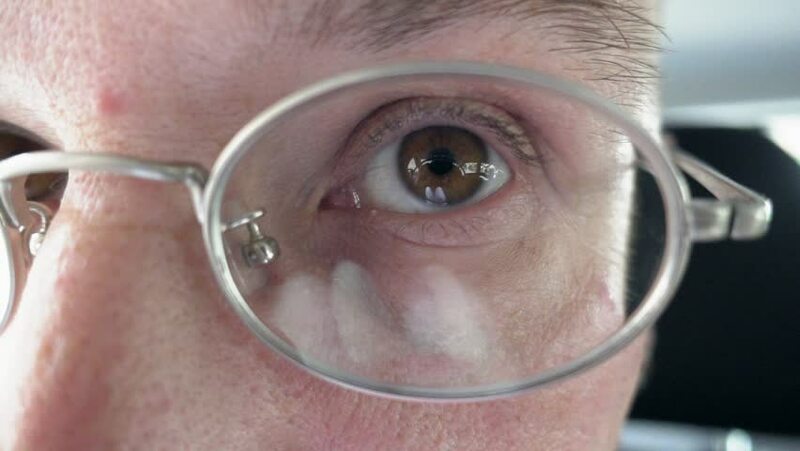 hd00:12Close up of middle aged person's brown eye through the metal glasses looking up and to the camera. hd00:18Face of a man wearing glasses closeup shot. Man attentive looking to the camera. hd00:23Professional workers painting by paintbrush building wall in blue color outdoors. House painter men at work action at summer day. 4k00:12Man or auto mechanic closes the car hood. Vehicle service and maintenance concept. 4K UHD video footage. hd00:06A man is enjoying his morning cup-o-joe in a public place. Coffee can be enjoyed anywhere anytime and is viable in various flavors. Most people drink black coffee. hd00:15Luggage is being transported to the checking area. Metal rolling pins helps to drag the bags easily. Airport security and precaution are a must to prevent any mishaps. hd00:19A person is walking on a moving pathway in the airport. It is used to transport people across hall. Travolator makes is easy to carry heavy luggage. hd00:22Man fuels a car from jerry can with petrol gas or diesel. Vertical format video. hd00:21Driver or auto mechanic pours pink windshield washer fluid from jerry can bottle into the car. Customers vehicle service and maintenance scene. Vertical format video. hd00:22Auto mechanic pours additional motor engine oil into the car. Vehicle service and maintenance scene. Vertical format video.